Jeff Ford, TV3 Director of Programming, at their Autumn launch. TV3 want to commission their first-ever soap opera and are inviting Irish and UK production companies to pitch ideas, via a formal tendering process which will be launched next month. TV3’s director of programmes Jeff Ford told Broadcast UK that they are looking for a mainstream twice-weekly series set in an urban location that could stretch to more than 100 episodes a year. Ford also hopes that TV3’s new Sony HD Studio would be used for the new soap and other future independent productions. 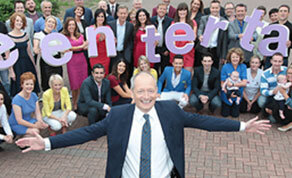 ‘It’s quite a commitment, but launching a homegrown soap reinforces the landscape of the channel. Every major broadcaster has its own soap and this is the perfect time to launch one for TV3,’ he said to Broadcast. Mr Ford also welcomed competition between Irish production companies, such as Tyrone and Sideline, and their UK counterparts. ‘It makes perfect sense to open this up to UK indies. But we shouldn’t underestimate the Irish producers, who know how to make quality shows on a budget,’ he added. Mr Ford will attend the Guardian Edinburgh International Television Festival to talk to UK independent production companies in more detail. TV3 is also open to co-production arrangements for the new soap, which is expected to be ready for launch in 2015.